Mosquitoes now spreading Zika virus in the U.S. 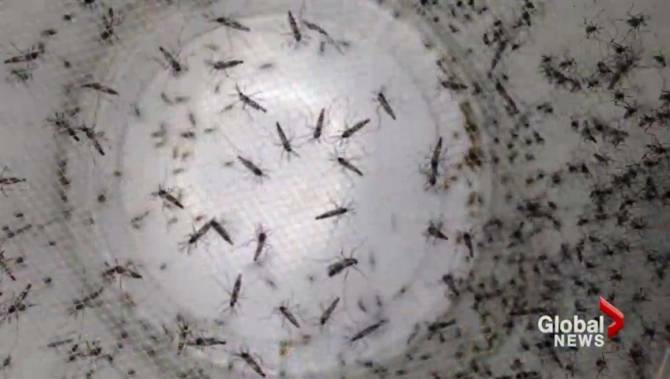 According to US health officials, mosquitoes have begun spreading the Zika virus in the U.S. Thus far, four individuals have been infected in the Miami area. Although no mosquitoes have actually been found in Florida that carry the virus, other means of transmitting the virus have been ruled out in these four cases. Therefore, as Dr. Thomas Frieden, director of the U.S. Centers for Disease Control and Prevention states, “Zika is now here.” Click here to read more about Zika virus in the U.S. This entry was posted in Article, News and tagged health warning, mosquito, virus, Zika. Bookmark the permalink.